Has it been a long day? You and your spouse, partner or friends need a boost? 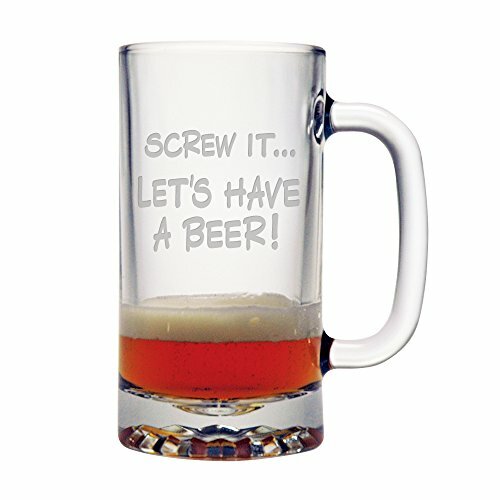 A set of "Screw It... Let's Have a Beer!" mugs is just the ticket for attitude adjustment! 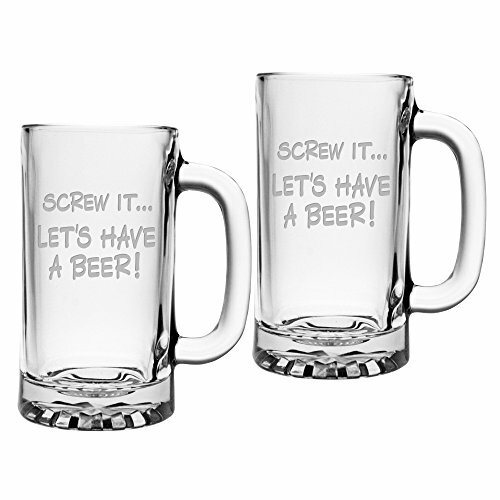 These are heavy, high quality glass beer mugs that you will be enjoy using and be proud to give to your best friends and family members. The etching is done with a permanent sandblast process that creates a smooth, beautiful design. It will not come off in the dishwasher or everyday use. 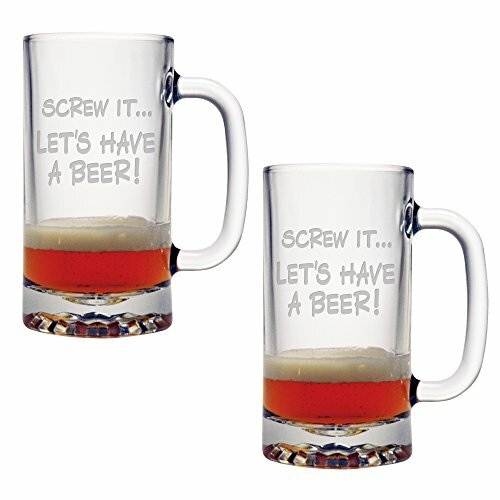 When you get home and are ready to put the day behind you, these are the perfect beer mugs to hold a full pint of your favorite brew. Put them in the freezer in advance and your beverage will be icy cold. The substantial handles are comfortable and feel great to hold. 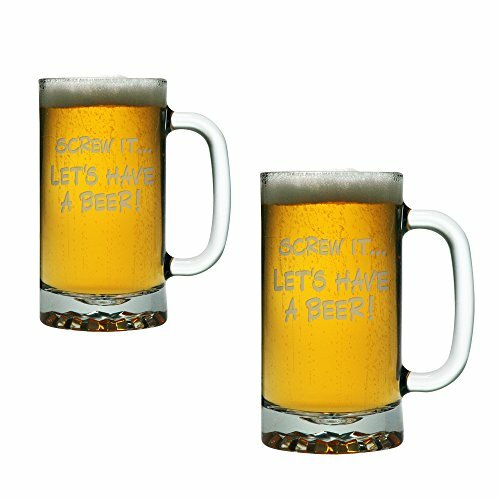 These are high quality Libbey 5901 16 ounce beer mugs - Designed, Made and Decorated in the USA. We use sandblast etching for a gorgeous, uniform design. 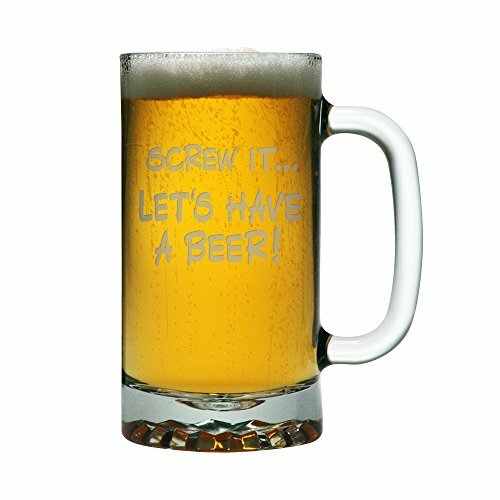 Laser etching is a cheaper process which heats the glass and makes tiny cracks in the surface which show as imperfections in the design. Sandblasting is more expensive but results in a smooth, even surface that looks great no matter how closely you look.